PackBots will be deployed in Brazil during the 2014 World Cup Soccer season to bring a high-tech approach to security. The nation’s government has secured a $7.2 million deal with PackBot’s creators for 30 of the military bots. The robots will be stationed throughout Brazil’s 12 host cities, during the soccer matches to boost security and help examine any suspicious objects. The sleek PackBot robot system, designed by iRobot, a Bedford, Massachusetts-based company, made its debut in 2002 in Afghanistan, where it helped soldiers clear bunkers, caves, collapsed building and to cross minefields. The versatile machine was used again in 2003 in Iraq in urban warfare situations and to search vehicles. 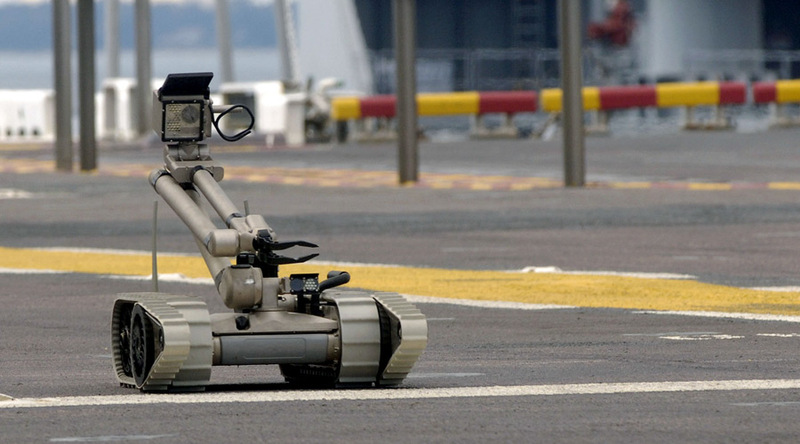 By 2007, more than 800 of these military robots were in use throughout Afghanistan, Iraq and several other countries. The PackBot was also the first remote controlled robot to enter the Fukushima nuclear facility after the East Japan Earthquake and tsunami in March 2011. PackBot is a unique robotic propulsion system that can reach a road speed of up to 9 miles/hour. The bot’s in-built flippers allow it 360 degrees of rotation, enabling it to negotiate rough terrain and even obstacles like logs, rocks, rubble and stairs. PackBot has the capability to climb up to 60 percent grades and survive submersion in water up to two meters depth. Its robust body can survive a fall from a two meter height to a concrete surface, being flung through a window and falling downstairs. This bot weight less than 40lbs, and is easily carried in a back pack, ready to be deployed within minutes. PackBot’s other attributes include a state-of-the-art GPS, video image display, system monitoring, electronic compass, temperature sensors. The robot is manipulated with an integrated Pentium-based computer.